It’s time again for the Friday Face-Off meme, created by Books by Proxy, with weekly topics hosted by Lynn’s Book Blog. The idea is to put up different covers for one book, and select a favorite. 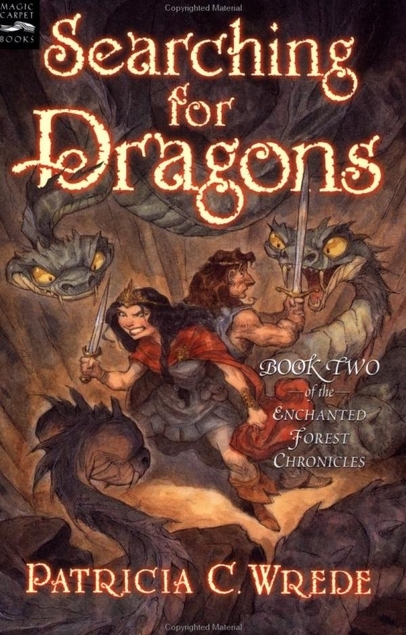 I decided to go to my much loved Enchanted Forest Chronicles, and look at covers of the second book in the quartet, Searching for Dragons, narrated by King Mendenbar of the Enchanted Forest. 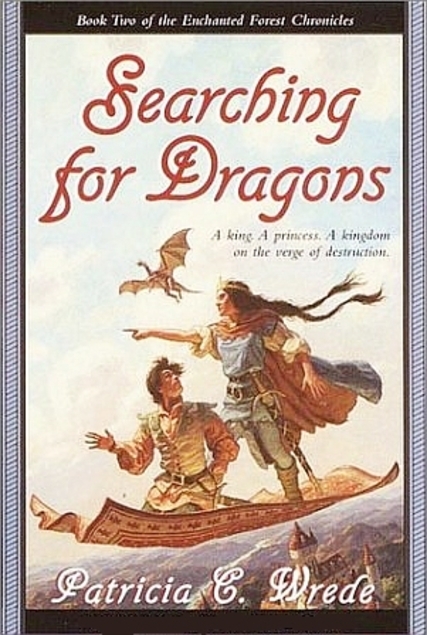 He doesn’t have a horse, but he does have a flying carpet that made it on to almost every cover! I like this one a lot–simple, focused on Mendenbar and Princess Cimorene, and the carpet actually looks fairly comfy! Points for detail too, with the hole in the front corner. This cover is my favorite (and, happily, the one on my copy). 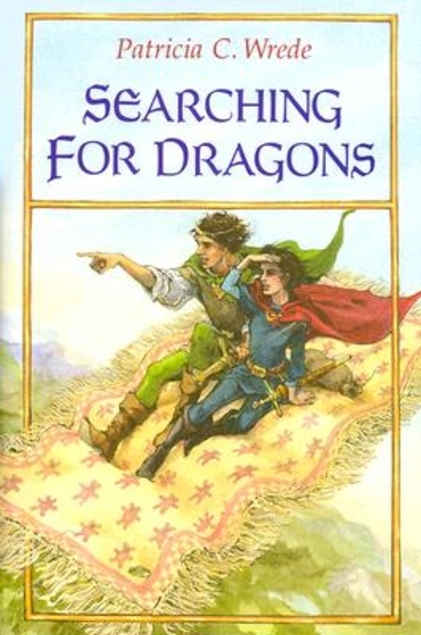 Similar to the first one, I think it shows the characters’ dynamic a little better, plus putting the dragon in is a nice touch! Ooh yes, I really like your choice, there’s a sense of movement with the woman’s braids flying out behind her and the addition of the dragon is a lovely touch.